There are sock boots, there are over-the-knee sock boots and then on entirely another fashion plane there’s the Fendi A/W 17 Rockoko boot. 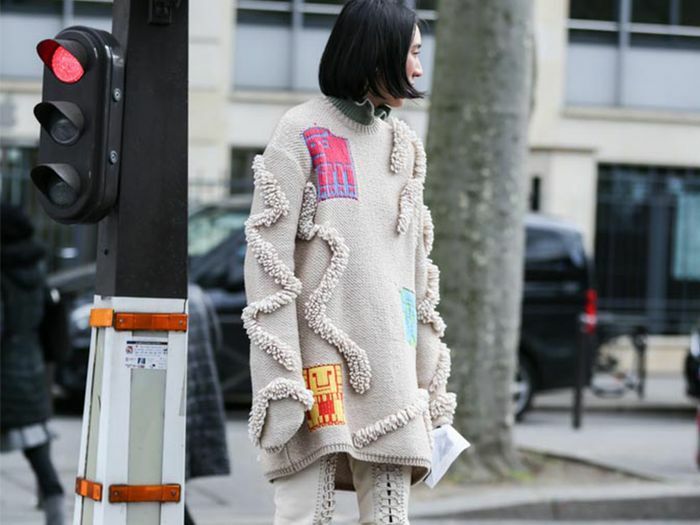 But while you may not know them by name quite yet, you’ve more than likely spotted them on Instagram by now—understandably, fashion bloggers, editors and the street style set are all obsessed with them. 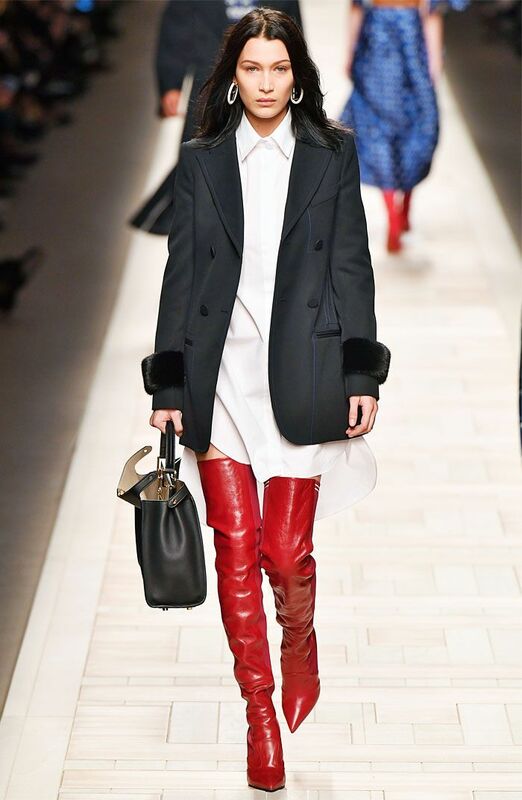 Beating the likes of Kendall Jenner, Stella Maxwell, Adwoah Aboah plus Gigi and Bella Hadid to the Star of the Show award on the Fendi runway back in February, Karl Lagerfeld’s Rockoko boots are currently on course to win Shoe of the Season too, thanks to a fierce combination of tapered four-inch stiletto heels, sharp pointed toes, super-slick leather plus a ribbed-knit backing. And if all that wasn’t enough, they come in two versions too—an ankle-length sock boot plus an over-the-knee, pull-on style. But while there are various colourways in the collection—we do love the cute pink-and-beige stripe pair—it’s the lipstick-red versions that are winning the shoefie game so far. Body of evidence: Instagram snaps from A Style Album’'s Louise Redknapp, fashion editor Giovanna Battaglia Engelbert, fashion bloggers Anne-Laure Mais (aka Adenorah) and Chiara Ferragni, plus model Caroline Vreeland, amongst many others. What’s more is that it seems the styling options are surprisingly endless. Thanks to their sleek shape and polished finish, the boots look just as incredible layered under jeans and tailored trousers as they do when paired with thigh-skimming miniskirts and dresses—extra style points for retro nostalgia here—or floaty floral maxis. At £1090 for the over-the-knee style and £780 for the Rockoko ankle boot, they may not be cheap, but who doesn’t love a versatile—albeit an OTT statement—investment piece? Keep scrolling to shop the Fendi Rockoko boots, and see how Instagram’s top fashion stars are styling them for A/W 17. Take a tip from French fashion blogger Anne-Laure Mais, and tuck the red Rockoko ankle boots under straight-cut denim. Who needs tights when your thigh-high sock boots do the job? Chiara Ferragni lifted this look straight off the runway—we love that shirtdress under the jacket. Put an effortless spin on the look like Louise Redknapp by teaming your statement boots with a pretty printed dress. We just love everything about this—especially that suiting. Next up, 38 of the best ankle boots to wear right now.